OK, so I guess I have been knitting more than I thought, and this is my latest project. 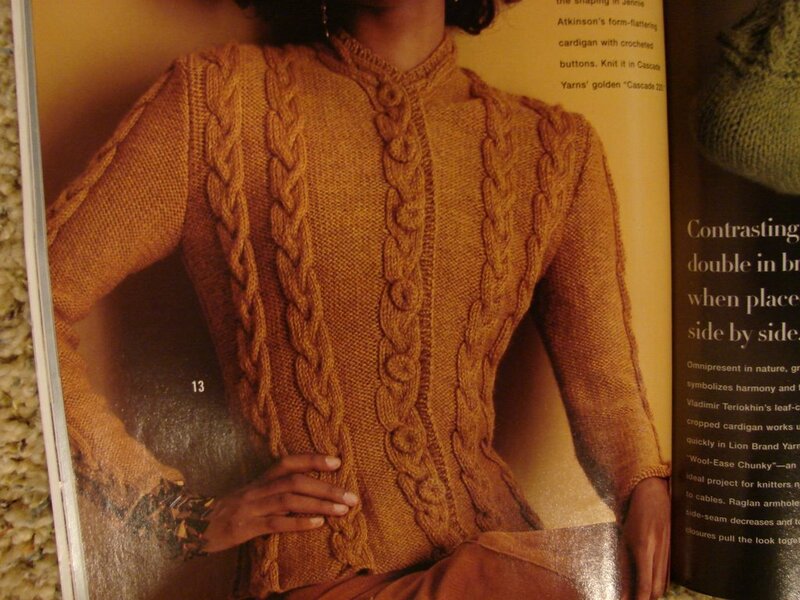 The photo of the gold version is from the Vogue Knitting Winter 2005 issue. I fell in love with this sweater the day I first looked at that magazine, and I bought the Cascade 220 to make it that very day. Finally, I'm getting around to it. 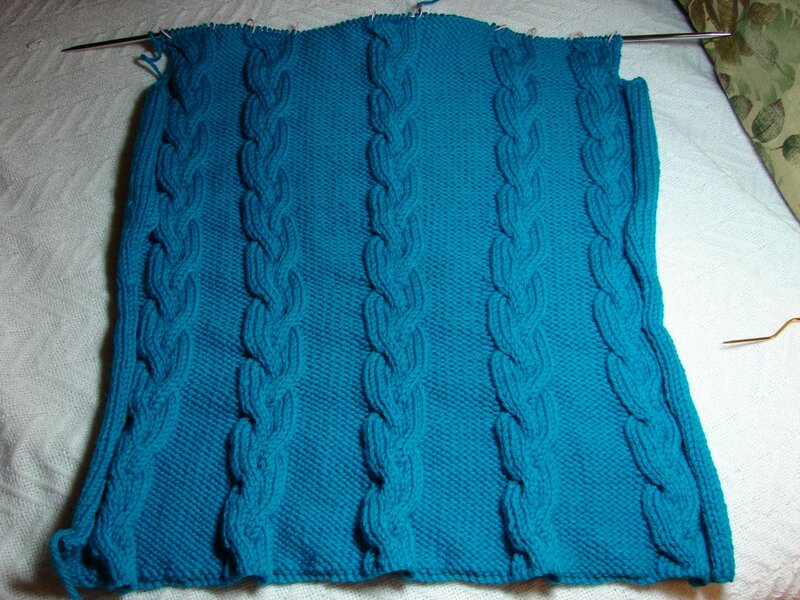 The color is fabulous; this is the back, and I'm about 3-4 inches into the armhole. This is going very well. So, here I am with yet another WINTER sweater on the needles. Oh well, it's the fun in making them that I love best. I have others that I don't get to wear often but it's all a learning process. And I hope I'm an inspiration to others with these projects. I've had this weekend off from my teaching at Fay's Needlecraft Boutique, but we start a whole new 3-week session next Saturday, and I will be busy once again. This upcoming session will have 2 classes, beginning knitting and a cable/lace scarf done in laceweight yarn from a chart. Busy, busy busy!!! Hope you have a great knitting week!